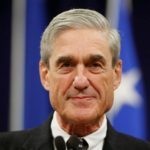 Multiple major news outlets have recently reported that Special Counsel Robert Mueller is preparing to produce a report on Donald Trump’s various crimes in mid-February. That means Mueller is basically done with his investigation, at least when it comes to Trump. That’s why Mueller’s latest move is really bad news for Trump’s family. Robert Mueller’s federal grand jury was initially empaneled for a period of eighteen months, and it’s about to expire. So now Mueller has decided to extend it by a period of “up to six more months” according to a new report from CNN. There’s only one reason to keep a grand jury around, and that’s to continue indicting people. Once the indictments have all been handed down, any further legal action will take place in front of a separate jury trial. So this means that Mueller expects to continue indicting additional Trump-Russia people even after he drops the hammer on Donald Trump himself. At this point Mueller has already indicted and/or cut a plea deal with nearly everyone in the Trump-Russia scandal. The only known remaining figures are the likes of Roger Stone and Jerome Corsi, and by all accounts, they’ll be indicted any day now. All that’s left after that: Trump’s family members. This tells us that Robert Mueller does indeed plan to indict Donald Trump’s family after he takes his big swing at taking down Donald Trump next month. So much for the likes of Donald Trump Jr, Ivanka Trump, and Jared Kushner magically getting off the hook for their various crimes.